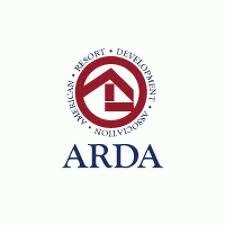 The American Resort Development Association (ARDA) has launched a new website, www.ARDA-ROC.org, aimed at the one million members that make up its resort owners coalition (ROC), to keep them better informed and thus encourage them to be more active. The site provides information about legislative and regulatory policies, not just from around the US but also from other areas like the Caribbean, which affect the timeshare industry. Owners can search queries by issue, jurisdiction, region or state through an interactive map. Other features include consumer advisories and links to governors’ offices, attorneys general, regulatory agencies and consumer groups. “Now, we will be able to inform and motivate owners to become more vocal with policy makers to preserve, protect and enhance vacation ownership,” said Howard Nusbaum, president and CEO of ARDA. The Association believes that members who contact their elected official will strengthen the efforts of ARDA-ROC’s legislative team and volunteers.